We all want to look good whilst keeping warm and chilling out after a session on the water, snow, beach or concrete. We have hand selected some of our favourite designs from brands we know and trust for both top design, and quality. Bonded fleeces are the future. Period. DWR coating makes this fleece resistant to water making it perfect for long walks in the rain or an epic edition for a trip to the slopes! 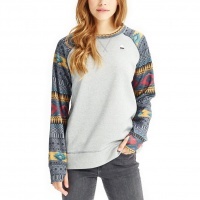 The Oak Womens Crew from Burton is a snazzy, classic crewneck jumper which has a cool hacky sack style design on the arms. perfect for layering up on the slopes. 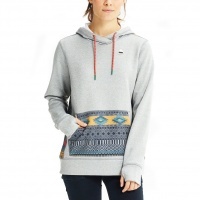 The Oak Womens Hoodie from Burton is a snazzy, classic pullover hoodie which has a cool hacky sack style design on the arms. perfect for layering up on the slopes. 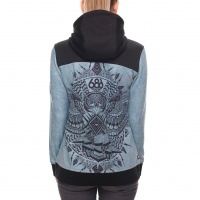 The Mystic Brand Hood is always a super popular hoodie with the ladies in store. 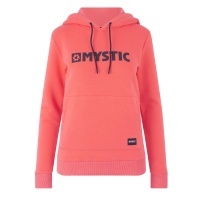 The 2019 Brand Hoodie in Faded Coral is a cosy warm, plush and super coloured bright sweat. 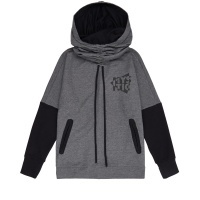 Want something nice and chill to wear everywhere? look no further than the Mystic Sympathy Sweat. Always a super popular top with our ladies in store. All new to the Mystic range we have the Malone Sweatshirt with sunglasses holding drawcords, reflective print and Mystic signature pockets!